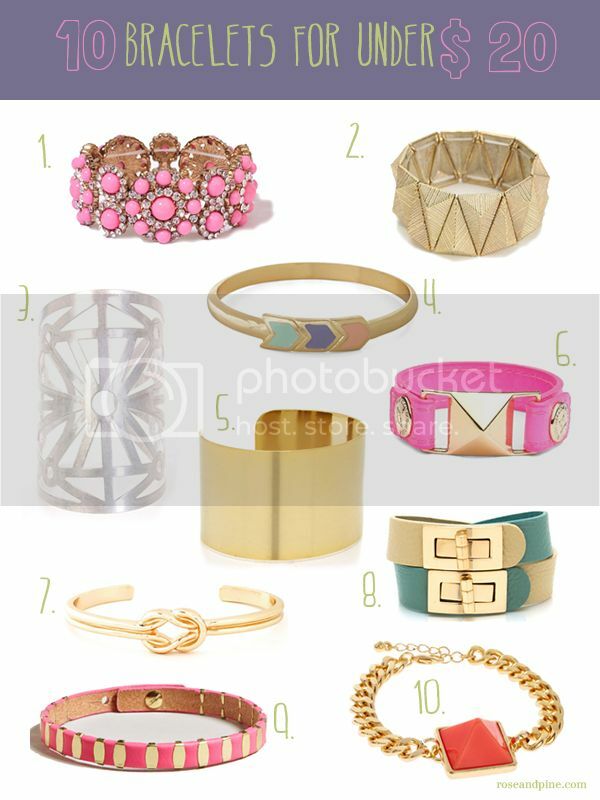 rose & pine: Arm Candy: 50 Bracelets for Summer for Under $50! 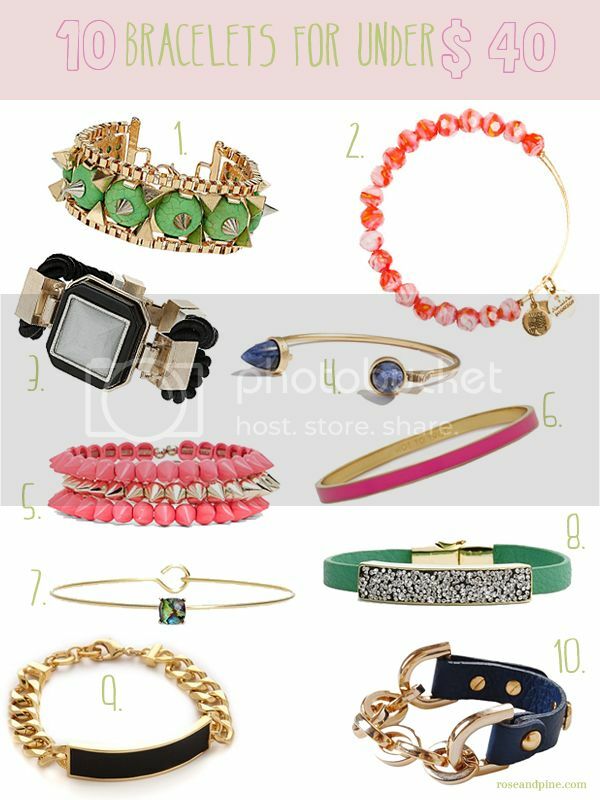 Arm Candy: 50 Bracelets for Summer for Under $50! Although Summer doesn't officially start until June 21st, Memorial Day is still considered the unofficial start of the Summer season. I've already broken out my short shorts and I've been driving around with my convertible roof down since early April. I'm here today with a fantastic post... I wrangled up fifty bracelets to fit your Summer style, all under fifty dollars! 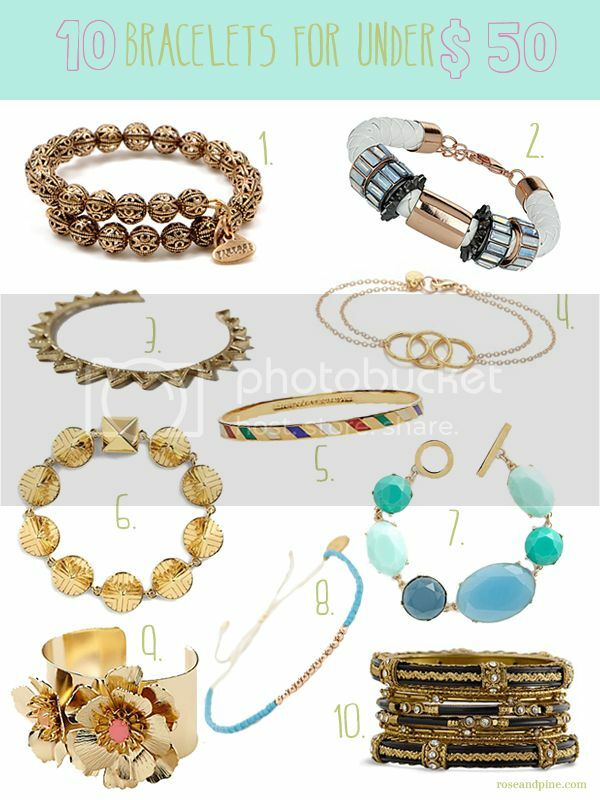 I divided them up in groups of ten, so ten bracelets are under $10, ten are under $20, etcetera. You can find more of my colorful jewelry suggestions in this little ol' post here and all of my Money Saving Style posts in this tag here! 10. ASOS - $13.58 Now $9.50! 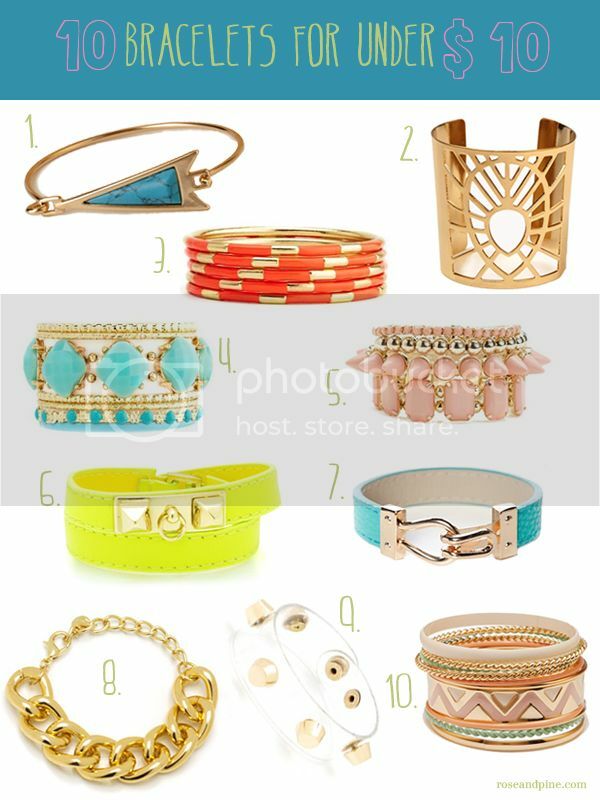 I hope this guide can help you narrow down the type of arm candy you want to rock this Summer, I know it will come in handy for me. These are all such cute bracelets! Aren't they? I'm in love with every one of them! Thanks! I tried to pick bracelets that could fit every style. Wow, this is great, a lot of very good info! You found some great finds! 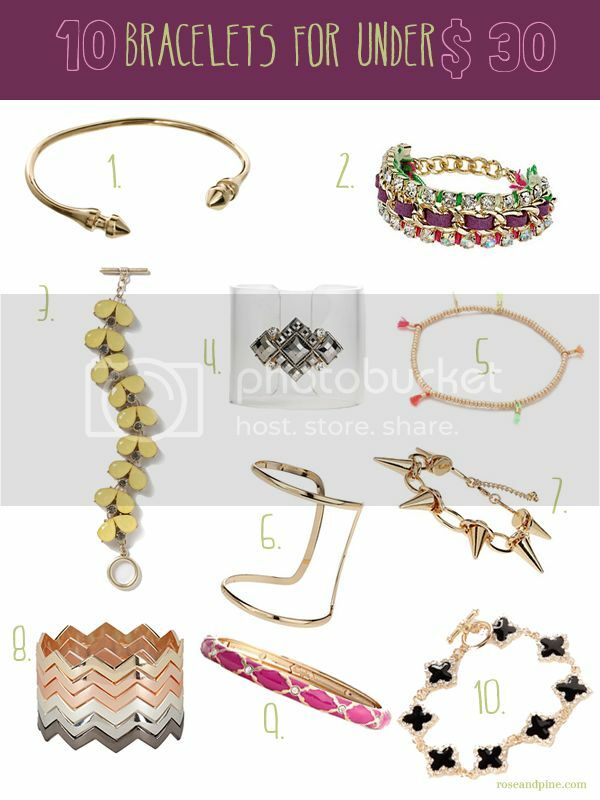 I just may have to stop in to Top Shop for that studded bracelet.